“I’m anxious. 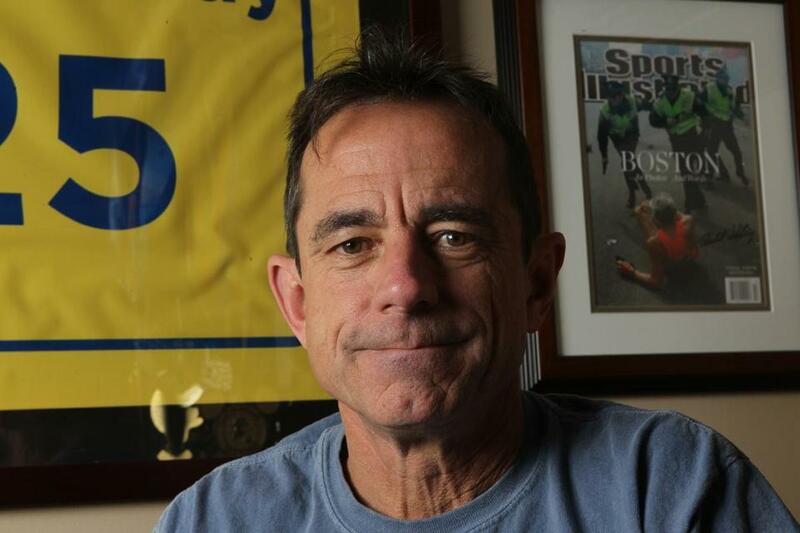 I feel confident in what we can control, but there’s so much more that happens around it,” Dave McGillivray says. 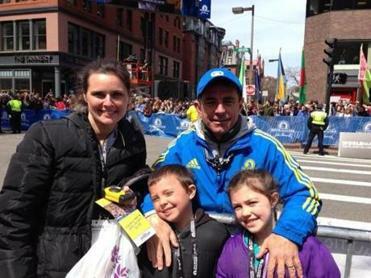 Dave McGillivray, his wife, Katie, and their children Luke and Elle, at the Marathon finish last year. This year McGillivray’s family won’t be attending the event with him. 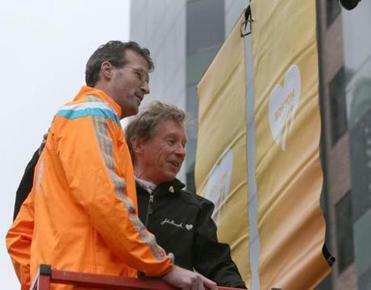 Marking the unofficial start to Marathon season, workers began hanging more than 500 Boston Marathon banners from light poles.